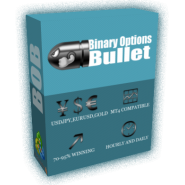 Have you been looking for a forex system that can make anywhere from 30-100 pips per trade? Have you wished that you can trade forex full time, but have trouble because you do not have something that works? Well guess what? Be prepared because your search ends today! Not only is this fantastic forex system profitable, its so easy, that even a baby can do it! And guess what else? We offer it to you today for pocket money! 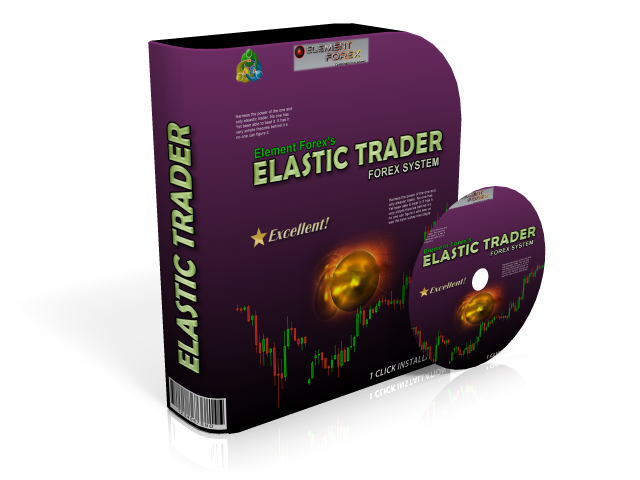 Elastic Trader is a forex system that you have never used before. More than likely, you have not seen such a thing. It is unique and its so easy to learn and follow, that you do not have to be an experienced trader to use it. It contains 3 very effective forex trading tools that show very good results. 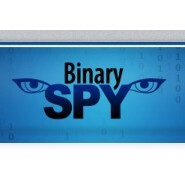 With simple confirmation of these tools, your trade gets very strong. These do not repaint the past. What you see on your chart, is what it stays with. For those who like to scalp and trade long term, this system is a must have. It has shown to be profitable on all time frames. Another great feature about Elastic Trader, is that you can add these to your existing forex system you may have. It can be used as your leading indication or confirmation. Either way, when you start using this system, you will love it! 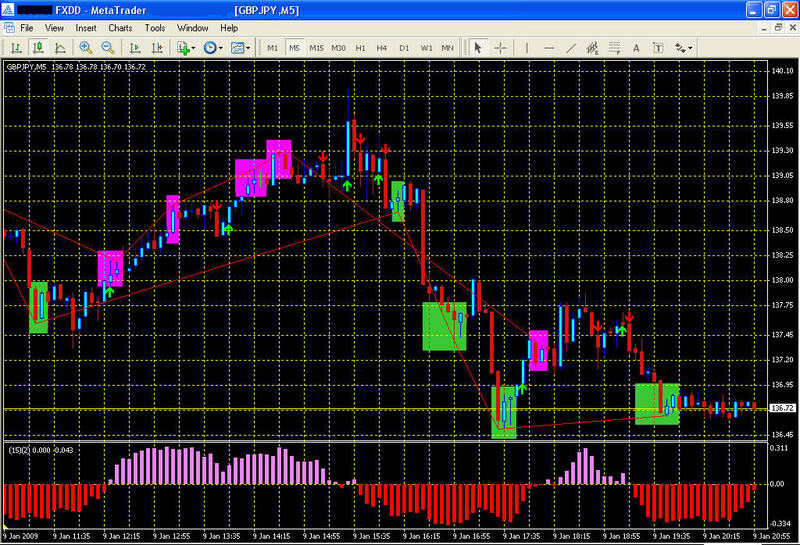 Basically, this is a view of your chart when you add all the indicators. As you can see it is easy to follow and does not make your chart appear overly busy. 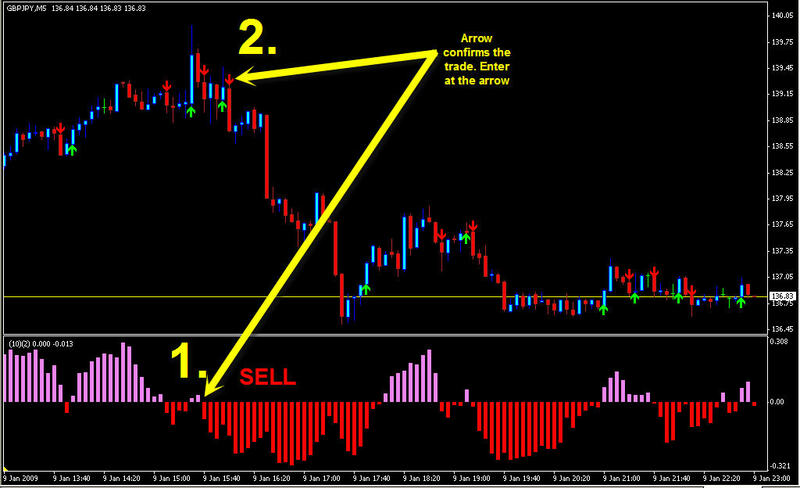 Your mainly looking at bars and arrows to enter your trade. No special complicated analysis is required to use this system. 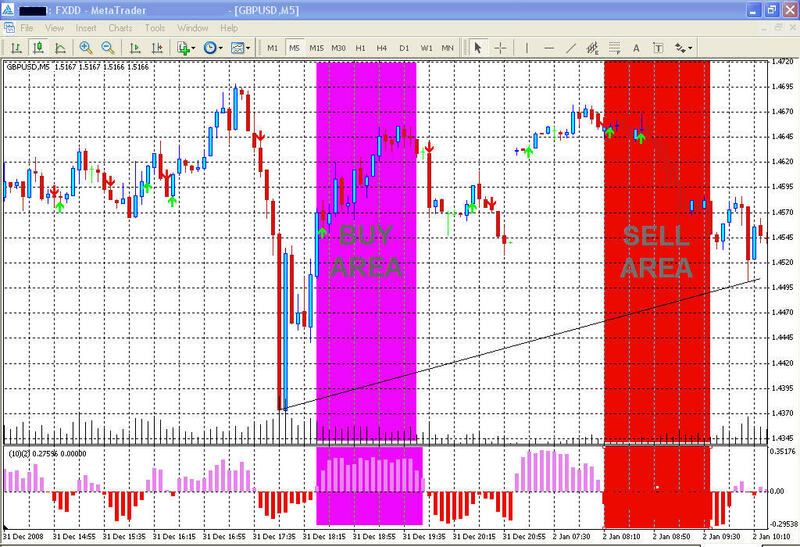 If you wish to highlight the Buy and Sell zones on the chart like you see in the pic above, MT4 provides a shape tool that you can use as a highlighter. Its very simple to draw. 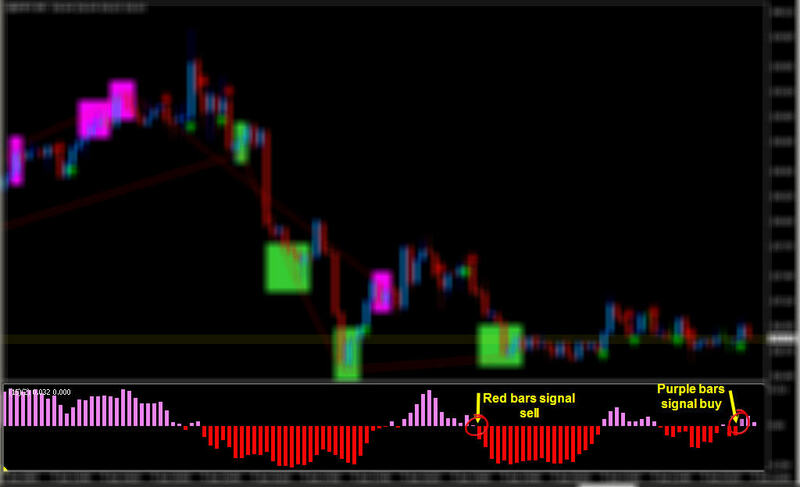 As for the indicator, when bars are purple, its a bullish trend, when bars are red, its a bearish trend. You ideally want to trade in the trend of these. 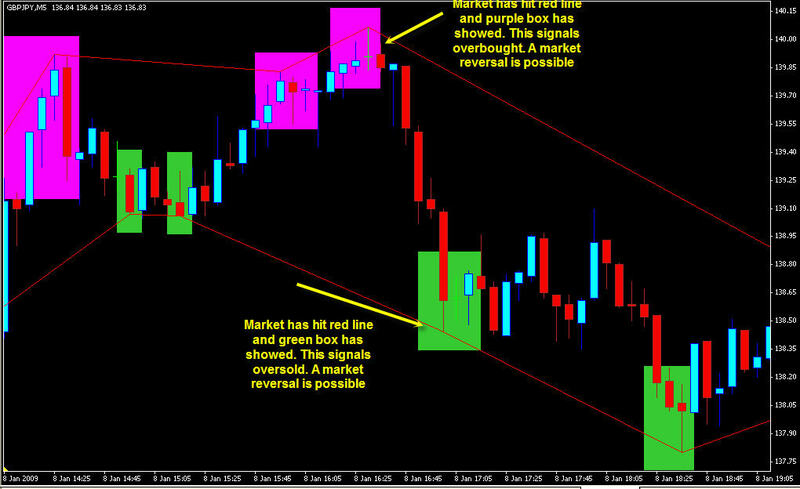 This was a LIVE trade that was a Sell signal using the M1 chart. This was a good trade. 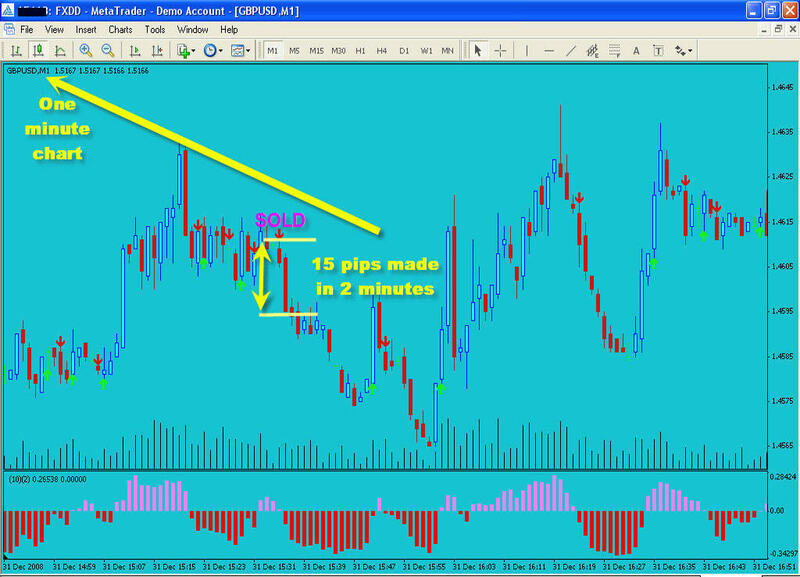 Market went down 15 pips in a matter of 2 minutes, which is pretty good for a M1 chart. On this signal the oscillator at the bottom confirmed the arrow. They both matched and that is what we are looking for. 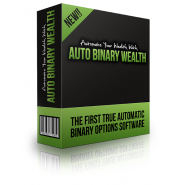 The formula behind this method is excellent and has been used by traders for a long time. It is mostly used for getting ready for a trend reversal, but there have been people who base their entries on this and get great results also. 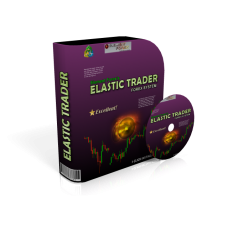 What time frames can I use with Elastic Trader? 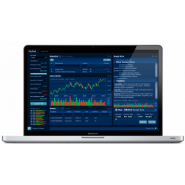 Which currency pairs can I use? Answer: You can use any currency pairs although it is suggested to stick with the main currency pairs only. I am a scalper, would this system be good for it? Answer: YES! In fact, its really good for scalping. You can do a lot of it and it will be profitable. I might need help setting up, can you help me? Answer: YES! We would be more than willing to help you get it installed. Although it is extremely easy and only requires 1 click to have it all installed on all MT4 platforms on your PC, we will help you.